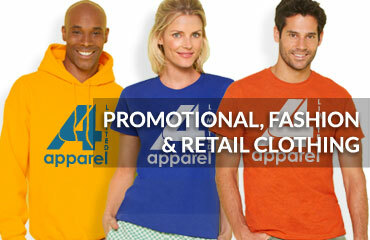 A4 Apparel are a promotional clothing printing company that offer a personalised promotional clothing service with thousands of clothes and accessories to choose from such as: printed t-shirts, embroidered polo shirts, printed hoodies, sweatshirts and customised caps and bags. 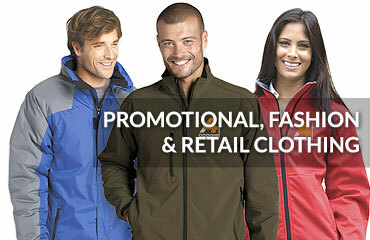 We supply custom printed promotional clothing suitable for promoting your company or retail brand that's personalised or branded to your requirements. We bulk print and embroider 1000's of branded garments each week for fashionable high street brands, designer labels and corporate events. 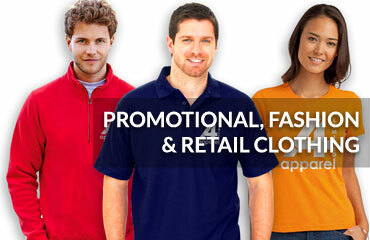 We're sure you'll find the promotional merchandise you require so let us help you promote your company or brand. If you need help call 01271 816 158 and speak to one of our sales team or get a quick quote for a competitive price and fast UK delivery of your printed promo clothing.